Marketing isn't about emails and landing pages. It's about connecting with your audience. Offline events are one of the oldest and most successful ways for to connect, face to face. 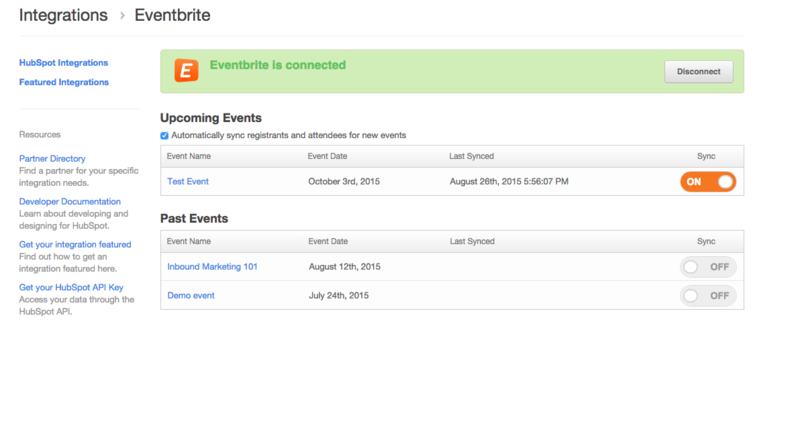 The HubSpot - Eventbrite integration brings the power and scale of HubSpot contacts and marketing automation to offline events. Helping you nurture leads from events and track which events create customers. This integration requires both Eventbrite and HubSpot. Learn more. 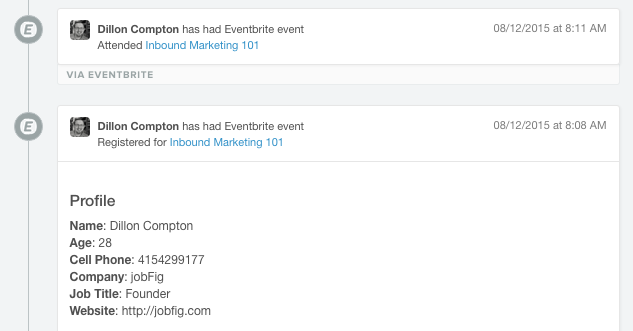 When connected, new registrants for your events will automatically be created as contacts in HubSpot. It also allows you to see how existing contacts have engaged with you before an event and if they become an MQL or customer after. The integration makes follow-up a breeze though the ability to segment and build lists based on event registration. Understand how customers engaged with you before an event through HubSpot. Strengthen customer relationships leading up to and at the event with Eventbrite's tools for promotion, registration, social media, easy entry management, and more. How Does This Integration Complement HubSpot?